A top priority among Critical Access Hospitals is to maintain financial stability so they can continue to provide desperately needed services in rural areas. Federal budget constraints and other economic pressures are jeopardizing the ability of hospitals, federally qualified health centers, rural health clinics, and traditional fee-for-service (Part B) clinics to provide services. Given the current economic environment, returning a Critical Access Hospital to profitability requires more than a simple cost cutting solution or cookie cutter approach. It requires an approach that focuses on the key levers that drive growth and profitability and is tailored to identify and address the unique situations facing rural and small community hospitals. 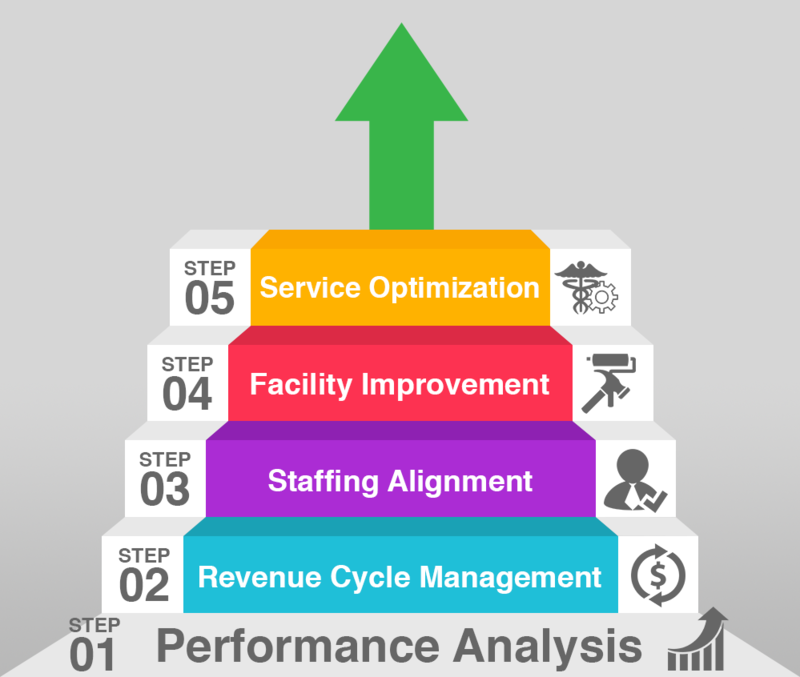 At NewLight Healthcare, a five-step approach was developed based upon the specific needs of Critical Access Hospitals and is a proven process that has successfully helped hospitals return and sustain profitability. The tried and tested approach and NewLight Healthcare’s experienced team has helped communities retain access to quality healthcare, saved and created jobs in the community, and sustained long-term profitability of the hospital. The NewLight Healthcare approach begins by understanding the unique factors facing rural and small community hospitals and identifying the opportunities that provide the greatest opportunity to improve profitability. By understanding the factors limiting financial performance, the steps to growth can be prioritized and aligned to build upon each other. Success is addictive and small wins can lead to significant victories. The key to growing to profitability is utilizing a methodology that identifies the areas of growth and can be transformed into a systematic and proven plan for success. NewLight Healthcare’s Approach is a proven methodology with a track record for helping Critical Access Hospitals overcome the common challenges they face and sustain long-term profitability.